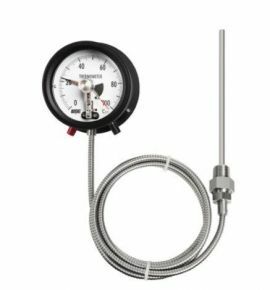 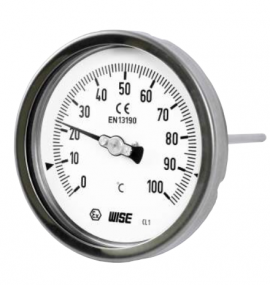 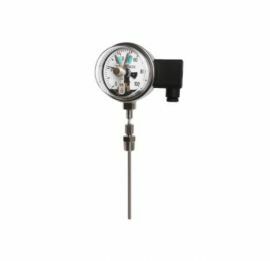 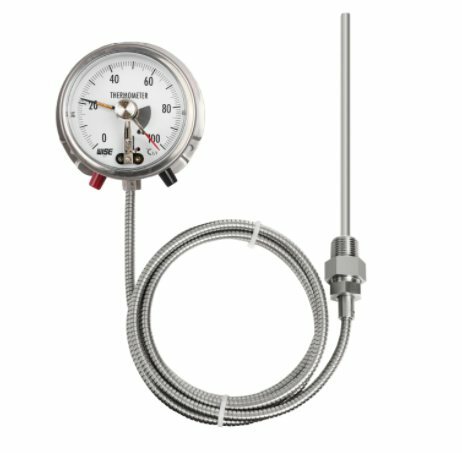 Contact type temperature gauge is installed with electrical contact actuated by pointer. 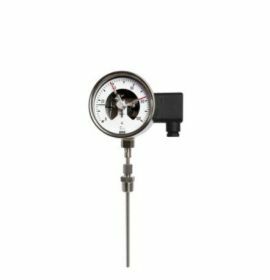 It provides the function which electrical circuit can be opened or closed by manual setpoint. 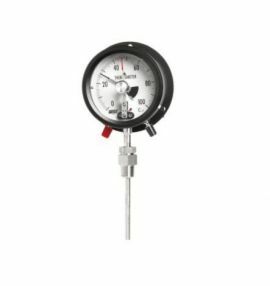 It is applicable where signal is required (Audible or visual alarm) for control of resistance or any other application with auxiliary relay and contact.